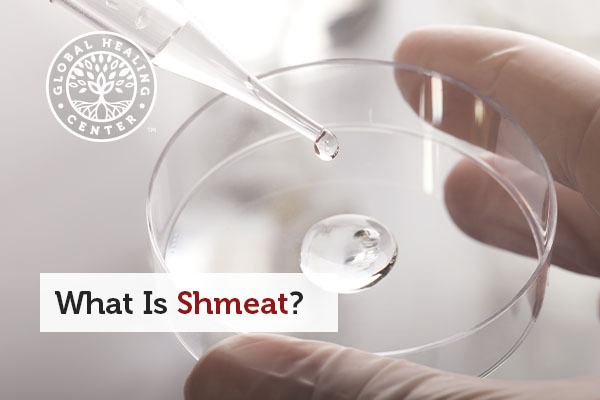 Shmeat is meat created in a petri dish. It could also be called in vitro meat or test tube meat. This meat is lab created and does not come from a complete, living animal. There are a number of thoughts on the origin of the word ‘shmeat’. A generally accepted source states it comes from the combination of the words sheet and meat. Some critics use a less flattering combination of a four letter ‘s’ word and meat. Either way, it has introduced a new discussion regarding diet, natural foods, and nutritional ethics. PETA (People for the Ethical Treatment of Animals) pushed the idea for lab-grown meat with a contest announced in 2008. It offered a $1,000,000 ‘reward’ to the individual who could create the first in vitro meat by June of 2012. Although PETA has recently embraced the idea of in vitro meat, the idea is not new. Scientists begin with muscle or stem cells taken from an animal. They place these cells onto a nutrient-rich medium and into a bioreactor to encourage growth. Once enough of the cells exist, they create a structure the muscles cells attach to. Just like any muscle, these cells need to be stretched or flexed in order to continue growing. This may involve the use of electrostimulation. Given enough time, the muscle cells continue to develop and now you have protein in a petri dish. But, don’t expect the result to look like steak. Creating a test-tube steak would require blood vessels to feed each cell, not to mention the creation of fats to accompany the muscle fibers. The technologies to create these do not exist yet. Is Shmeat Safe or Nutritional? Proponents of in vitro meat claim it can be healthier than our current meat products. The claims state that in vitro meat is pure protein without the fat. Because it is grown in a lab, scientists can design the meat to contain healthy fats like Omega -3 and Omega -6. The claims also state that lab-grown meat will be safer than the meat from current meat-producing methods. Problems with bacteria such as E. Coli and Salmonella plague the meat-packing industry. According to scientists, because the meat will be grown in a clean, sterile lab environment problems such as these will simply not exist. Of course, no one seems to have discussed the potential environments that will exist when large scale production begins. The question here is, what would a large scale, shmeat making operation look like. Particularly as the need to reduce the costs of making it would be imperative. The price to make Dr. Posts 5 oz. Hamburger - about $325,000. Concerns abound for this lab-grown meat. For the most part, the concerns expressed depend on the position and opinion of the individual. Proponents of Shmeat have concerns about the production and logistics. Those who oppose in vitro meat have concerns about its nutritional, dietary and environmental impacts. Proponents of Shmeat have expressed concern regarding the ability to produce enough Shmeat. The technology and medium needed to produce enough in vitro meat are not cheap. It has also never been used in large production facilities. Then there are the potential electrical costs to create enough electrical stimulation to encourage the muscle fiber growth. The electrical requirements make opponents to lab grown meat wonder if all the environmental savings, in terms of cattle, livestock facilities, etc…would be lost to the cost of producing electricity around the clock to keep the tissue growing. Think of it this way, cows sleep; lab-grown tissue does not. In fact, it would need round the clock attention. Dietary concerns also exist. While the Shmeat produced may have a higher, leaner protein content, would it contain the range of nutrients the body requires? And if the lab-grown meat does not, how will the other necessary dietary fats be added? 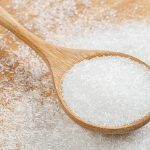 After all, high fructose corn syrup has been used to preserve food, and after several decades, we have learned it is toxic. Of course, the focus of the concerns driving this conversation center on the ability to provide enough nutrition to a continually growing global population. Is Shmeat the Future of Food? Currently, shmeat is a cost prohibitive venture for large scale production. Despite this, scientists have proven it can be done. And according to Dr. Post, the tissue ‘tastes reasonably good’. Feeding growing populations was a primary thought behind lab-grown meat 80 years ago, and it remains so today. 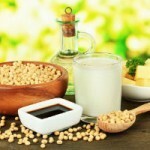 As countries like China develop so does the demand for protein. Producing enough meat - and transporting it – will remain an environmental concern as the demand continues to increase. Environmental impacts also support Shmeat proponents. According to a 2006 report by the Food and Agriculture Organization, livestock account for 18% of global greenhouse emissions. 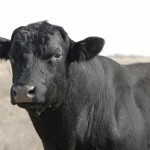 Proponents also claim additional benefits in the potential reduction antibiotic and pesticide use, while allowing lands used for grazing to grow back. Opponents of Shmeat argue dietary considerations, the natural resources needed for production, and the ability of the government, or powerful corporations, to dictate diet could be a sci-fi horror story waiting to happen. The power lab-grown meat would give to governments and corporations perhaps has created the greatest concern among individuals concerned about keeping the choice of what they ingest their own.